Ole Gunnar Solskjaer has named his starting eleven for Tuesday night’s Premier League meeting against Burnley and it looks like Juan Mata will play in-behind Romelu Lukaku and Marcus Rashford. A win would make it seven consecutive wins for Solskjaer in the league, continuing his perfect record in all competitions. Burnley will find themselves in a dangerous relegation battle unless they discover some winning form. Otherwise, Sean Dyche faces a worrying test. 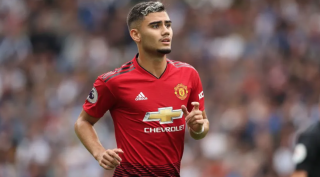 The United line-up is a strong one but grants Andreas Pereira an opportunity to perform in midfield with regulars Paul Pogba and Nemanja Matic. Ashley Young starts ahead of Diogo Dalot to offer the defence much-needed experience. The England international was an influential figure head in the FA Cup win over Arsenal last Friday in the FA Cup. Meanwhile, Phil Jones returns to partner Victor Lindelof at centre-back. Let’s see what the Brazilian midfielder is made of tonight. Earlier this season, he played in Matic’s role so it will be intriguing to see what his job will be against the Clarets. Martial picked up a slight injury in training, as confirmed by Solskjaer on MUTV.